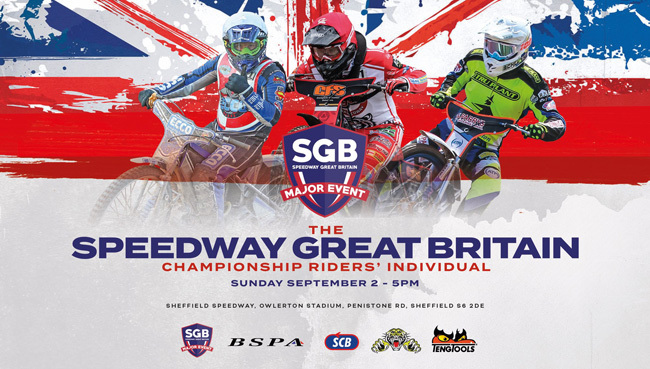 SHEFFIELD host the prestigious Championship Riders’ Individual on Sunday in the final meeting of the season at Owlerton (5pm). The showpiece event returns to the steel city after a year away at Glasgow. Tigers supporters will have two of their own to cheer on in Kyle Howarth and Charles Wright as they go up against 14 of the second tier’s best riders including Grand Prix star Craig Cook. Sheffield co-promoter Damien Bates is anticipating a thrilling contest and is expecting a bumper crowd. “it’s great to have the event back after it was trialled at Glasgow last season,” Bates said. “It’s a meeting that should never have moved away from Sheffield in all honesty but they wanted to try something different, it didn’t work out and it’s back where it belongs. “It’s the ideal venue for Championship supporters to get to, it’s an excellent racetrack and we’ve got some of the best facilities in the league. “I’m hoping by going for a 5pm start time that we’ll be able to attract a healthy number of supporters as well because it’s not too early that people have got to drag themselves out of bed and it won’t be too late by the time they get home either. Gates open at 3pm and admission is £20 adults, £15 concessions, £5 children (5-15) while kids under 5 are admitted free of charge.